When BMW built the S1000RR superbike, they went straight to the top. Never before has it been so easy to keep so much power under control. This is just as true on public roads as it is down on the racetrack. The RR label shows that it is a full-blooded racing bike, even though it can also be ridden with a number plate attached. To top it all off is an engine which is BMW’s absolute pride and joy. Visit their site at www.BMWmotorcycles.com.  Lots of tire manufacturers are in the high performance tire market but if you look over the history of it you’ll see that Dunlop is the company that sticks with you and for you. 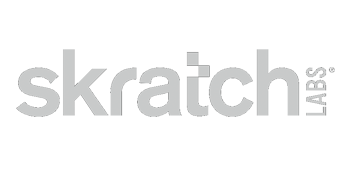 They’ve put so much into sport riding and racing for so many years, not just in the high profile racing scene–and you won’t be able to name another company that has done that kind of R&D with every level of the sport in mind. We are proud to provide the Dunlop Sportmax Qualifiers on our school bikes and Sportmax GPA-PRO tires for racing. We have been using Dunlop tires at the Superbike Schools for 36 years and during that time their commitment to providing top tier rubber has never wavered. Our riding coaches win and our students win because they trust the tires and that takes a big load off their minds when training and improving. After putting nearly a thousand riders into our gear this past year, we’re impressed with the quality of the AGVSPORT leathers, boots and gloves. The number of repairs from usage, and even crashing has been very low. AGVSPORT is a fantastic value, their leathers rock and this is provided at very reasonable prices. The nationally dealer-distributed AGVSPORT line continues to give great benefits for our coaches and students. Visit their site http://www.agvsportusa.com to view the complete line of motorcycle apparel. Get Premier Superbike School student deals on AGVSPORT custom leathers at https://agvsportusa.com/custom. Discover information about racer sponsorship/support by clicking here, or call (469) 250-9677. Mention CSS VIP Member. Buy your Silkolene lubricants through SilkoleneStore.com. Alpinestars racing and labratory-based R&D ensures that their boot and gloves offer the best protection and fit on the market. Visit their site at www.alpinestars.com. Other companies claim to be the best, but Roadracing World proved what Armour Bodies have been saying for years. 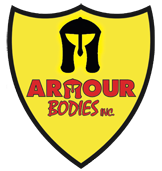 Visit their site at www.armourbodies.ca. Since Catalyst Reaction first opened up their doors in 2007 they have been one of the best known and most respected suspension tuning shops in Northern California. Catalyst Reaction has contributed to championships, track records and countless podium finishes in California club racing and beyond. Their expertise goes beyond the ultimate set up for the racetrack as well. If you need a simple adjustment or a complete rebuild of your forks and shocks, Catalyst Reaction will make your bike handle better than ever before. Contact them at 650-591-2778 or crstuning.com for more information. PFC’s innovative race-winning technology surpasses that of anyone else in the industry, delivering the ultimate stopping power with the best release, response, and control. PFCis currently being run in everything from Moto America to British and World Superbike along with club racers and every day motorcyclist around the world. PFC pads have excellent and consistent release and control from the first stop to the last for all makes and models. PFC Brakes is proven to give better results, more bite, faster transition times, and quicker lap times. Visit www.pfcbrakes.com to learn more. Moto-D is best known for their high performance tire warmers but also offer a wide range of items that trackday riders in particular are consistently looking for. Moto-D is a great combo of price and quality.